UPS Stock Dividend-What Can Brown Do For Your Investments? I made my first investment in United Parcel Service (also known as UPS) in 2014. Why? Because I wanted to participate in the growing demand for package delivery. Much of the world’s population orders products online now. And then they have them delivered to their door by UPS or one of their competitors. And remember their old advertising slogan? I liked it and remember it as “What can brown do for you?” Brown refers to their signature brown color on all those delivery trucks buzzing around your neighbor. But this growing business opportunity is not without its challenges. So let’s kick the tires on UPS with a dividend deep dive and check out UPS stock and the UPS stock dividend! UPS is the world’s largest package delivery company. They are a leader in the U.S. less-than-truckload freight delivery segment also known as “LTL” for short. And UPS is a premier provider of global supply chain management solutions. UPS uses more than 500 planes and 100,000 vehicles to deliver on average a million packages per day to residences and businesses around the world. Their global delivery network, size and efficiency create large competitive advantages and barriers to entry for smaller players. Characteristics like this are sometimes referred to as an economic moat. What is an Economic Moat? I don’t know about you, but I like to have my riches protected by as big a moat as possible! That said, let’s move forward and check out the UPS stock dividend. UPS pays an annual forward dividend of $3.84 per share. Based on the recent stock price, that dividend payout puts the UPS dividend yield at 3.5%. I like that dividend yield. It is right in my dividend yield sweet spot between 3 and 5%. That is not to say I won’t buy a stock with a dividend yield that falls out of this range. But that is a story for another day. Let’s see what UPS stock dividend growth looks like next. 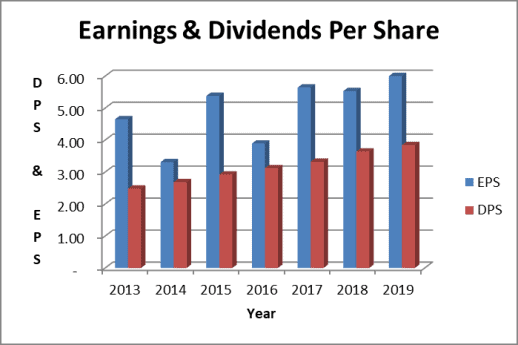 Dividend growth has been substantial and consistent over the past 7 years. In addition, UPS increased the dividend another 5.5% for 2019. I like when a company makes a point of touting their dividend history. It tells me that paying a consistent and hopefully rising dividend is part of their culture of rewarding investors. And I would like to add that the UPS dividend has been increased by management for 10 consecutive years. The annual increase streak would be longer, but the company paused dividend growth in 2010 as it navigated the depths of the last recession. The company’s business strategy evolves around what they call their transformation plan. It includes 4 strategic imperatives that are expected to drive growth. With only 20% of revenue coming from international markets, UPS recognizes this as a growth opportunity. Opportunities include growth in Europe, Asia and emerging markets. And growth in freight forwarding and contract logistics services. UPS feels there are large possibilities in B2B for small and mid-sized businesses. And for offering retailers control and convenience in reaching their customers. Health care spending accounts for 18% of the US economy. By providing visibility, control and reliability for quality assurance and deliveries compliant with government regulations, UPS believes they can further tap this lucrative market. SMB accounts for more than 50% of the US small package delivery market. The UPS “Ware2Go” operation recruits warehouses in strategic locations to create a network of fulfillment partners for small and midsized businesses. The historical earnings trend is generally favorable. However, accounting earnings can be volatile due to accounting for pension expenses related to UPS’ largely unionized workforce. To normalize for year to year volatility, I looked at dividends paid as both a percentage of earnings and free cash flow for the past 10 years. In either case, the payout ratio runs at about 65% over this long time horizon. Long term, I expect the dividend to grow at the same rate as earnings. Because of the economically sensitive nature of UPS’ business and their need to pay down debt, I’m going to project 5-7% dividend growth in coming years. This is a fairly conservative rate in my opinion. Finally, I believe the dividend is safe. However, I do have some concern about the company’s financial position as indicated in their balance sheet. So let’s cover the credit rating and the balance sheet next. UPS has an A1 and A+ credit rating from Moody’s and S&P, respectively. These ratings represent “investment grade-low credit risk”. This is an adequate sign of financial stability and the company’s ability to pay its obligations as they come due. I like my dividend stocks to have an investment grade credit rating. The company employs a significant amount of financial leverage. And that financial leverage has increased during the last several years. Specifically, debt increased over $10 billion during 2016 and 2017. One reason for higher debt is the generosity that UPS has shown investors. For most of the past several years, UPS has paid out more in dividends and for share repurchases than it has generated in free cash flow. In order to make the cash payments for dividends and share buy backs, UPS has taken on more debt. They finance nearly 100% of assets with debt and other liabilities. And their debt to equity ratio checks in at a pretty high 7.35 times. Finally, in 2018 UPS used excess free cash flow to reduce debt by $1.7 billion. That is good sign, but I want to keep an eye on debt going forward. I would like to see debt reduced more. The need for debt reduction also limits my expectation for dividend growth in the next few years. The single stage dividend discount model considers several factors I have discussed thus far. Using these assumptions, the dividend discount model calculates fair value at $102 per share. The UPS stock price to projected 2019 earnings sits at about 18 times. To compare, the S&P 500 forward price to earnings ratio for 2019 is 16 times. UPS is clearly more expensive than the stock market as a whole. The investment analysis firm Morningstar believes UPS stock is fairly valued at $113 per share. Debt reduction in future years may put a limit on dividend growth. I like UPS stock at current levels and will consider adding to the shares in my investment portfolio on any price weakness. Finally, UPS stock trades on the New York Stock Exchange under the symbol “UPS”. I currently own UPS stock and collect the UPS stock dividend! Great analysis. I agree that package delivery only seems poised for further growth. Also, 3.5% is a pretty sweet dividend yield! haha I got my Sonos speakers delivered by UPS today! My analysis on UPS is about the same as yours. I expect dividend growth to be slower going forward due to bigger picture economic issues as well as the very high debt load. 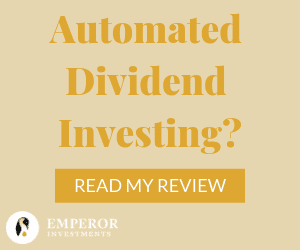 Overall the current yield and the dividend growth should be adequate but there isn’t likely a lot of room for valuation expansion in the future so returns are likely to track the growth of the business plus the dividend. Still ~10% returns over the long run isn’t exactly bad. 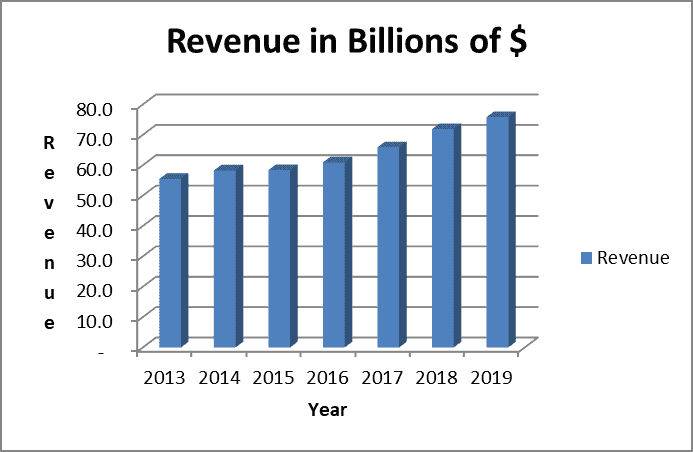 I was glad to see management slow down their FCF overspend during 2018 and hope to see that continue going forward with excess cash being diverted to debt reduction. I believe it will happen, but time will tell. I initiated a small position in February and will be looking to add on dips into better value opportunities. I can only see deliveries increasing more and more in the future. With remote locations, traffic and people shopping and returning more online, it’s all about convenience. Dividends Diversify is a personal finance website with emphasis on investing for passive income through dividend stocks. 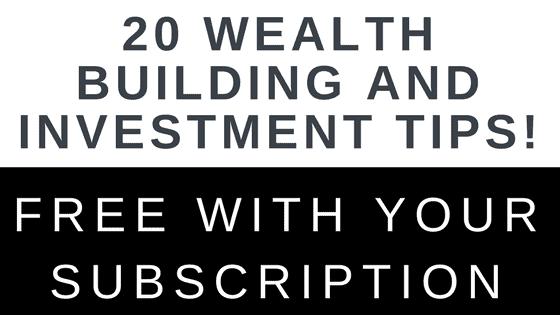 Learn to create wealth, achieve financial independence and enjoy early retirement.